Everyone loves flowers, especially when they are an unexpected treat! Zoe, a savvy business mum, asked if she could send me some flowers. How could I say no?!? Zoe runs a unique and innovative flower business, called Petal Post. 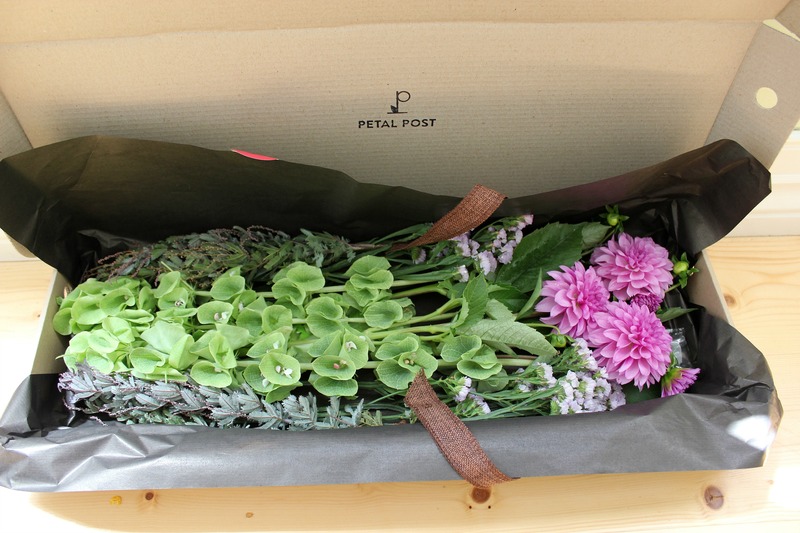 Basically, Petal Post source flowers direct from the growers and the Sydney Flower Market and deliver them to your door. 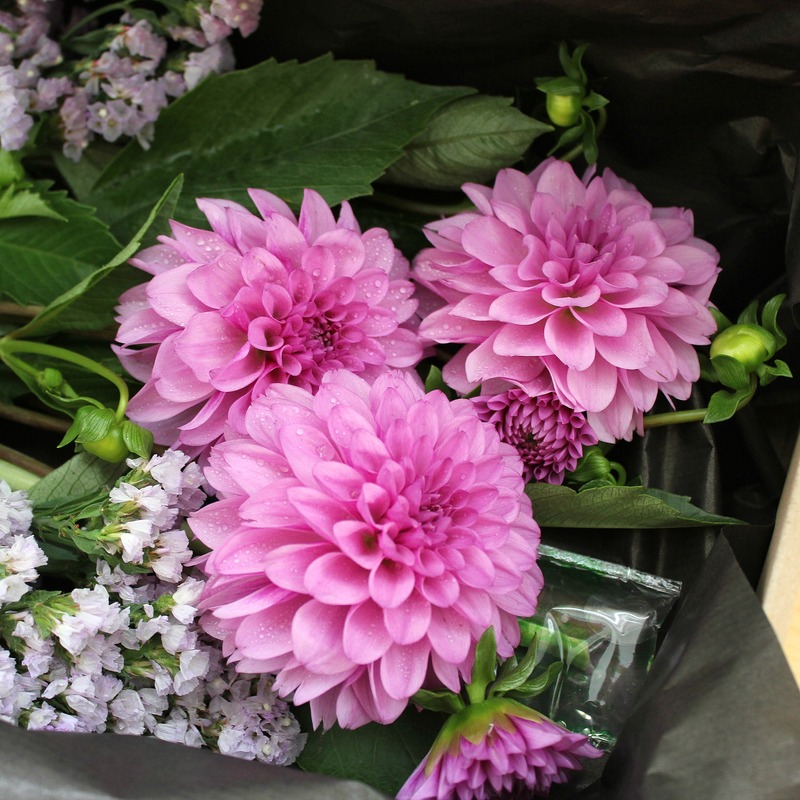 They only use Australian grown flowers and foliage, mostly locally sourced, that are in fresh and in season. My flowers arrived in a fancy box and honestly, when I opened the box I gave a squeal of delight. The flowers were so pretty! Once I’d stopped admiring the beauty of the flowers, it was time to play. Now, my floral arranging skills aren’t strong. Thankfully, the Petal Post flowers come with simple arrangement tips, allowing you to get creative. It’s refreshing to know that the flowers you receive are locally sourced, supporting Australian flower growing farmers. I also love that the flowers are in season, meaning there’s been no extra pressure on the environment to grow them. 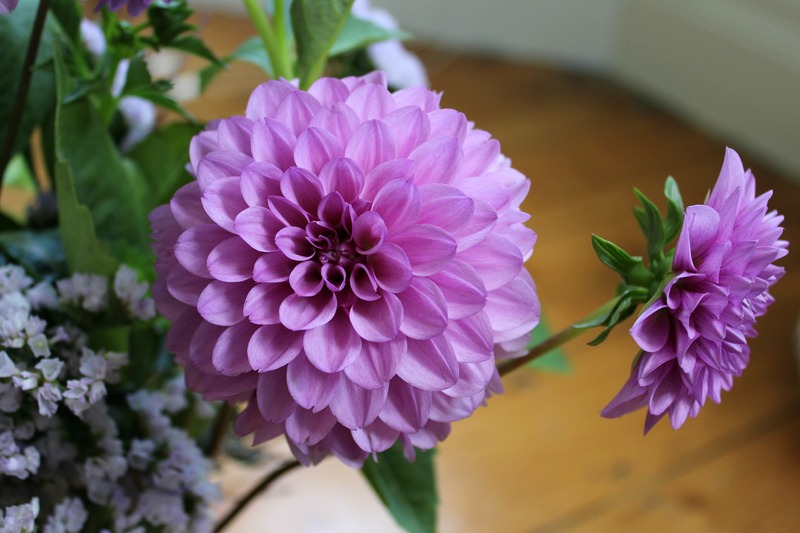 I received Dahlias from Petal Post and that same week was strolling down a nearby street and noticed a mass of beautiful Dahlias in full bloom in a front garden. Zoe isn’t overstating it when she says the flowers are fresh and seasonal! I actually like that there’s no choice in the flowers you receive. Sounds odd, but the flower combinations are carefully selected, so the colours and texture of the flowers and foliage are complimentary. There’s a knack to that, which I don’t have! It was also fun to create my own arrangement. I even changed the vase at one point, to mix up the look of the flowers. If you are flower lover, with a flair for creating your own arrangements, you really must check out Petal Post! A Petal Post subscription would make a fabulous gift for a Sydney-sider. Imagine the delight of having fresh, locally grown flowers in your house each week. We know everyone loves flowers, but do you have a favourite reason for sending flowers? With thanks to Zoe for providing me with such lovely flowers! While Zoe gifted the flowers to me, I have not been paid for this post and these are my own honest opinions. What a great idea! Love having flowers in my home. Love fresh flowers in my home! And it’s always lovely to receive a delivery. There’s something special about fresh flowers!